Most Indiana basketball fans haven’t heard of him, but he’s still the state’s record-holder for single-season scoring average: 42.2 points per game in 1957 for Grass Creek High School, where he was one of 63 students. He scored 60 points in one game, and 53 in another. Unlike some great high school scorers, he was good enough to play major college basketball. 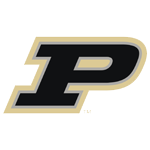 He lettered three years at Purdue, with a high game of 20 against Michigan. That’s only the beginning of his story, though. He served six years in the Army, and did a tour in Vietnam, earning a Purple Heart. He suffered for that, with post traumatic stress syndrome and a lost marriage. He overcame that, however, to go on to become a successful businessman, and is a great guy to know. He came into the studio for this conversation, which turned out better than I could have expected from someone I had never met.